Join me as I talk to Dr. Lawson about helping people figure out specifically how they can get the most out of themselves. We'll discuss how his incredible desire to help people to achieve things they never thought they could do and share with them a specific blueprint for making it happen. Dr. Robert L. Lawson has been a high school and college instructor for the past 40 plus years. He holds three degrees. His undergraduate degree is in the field of English where he majored in that subject and minored in Speech at the University of Rio Grande. His master’s degree is from Marshall University where he specialized in 17th-century literature and his doctoral degree was acquired from Nova Southeastern University in the field of Educational Administration. Dr. Angela Butts Chester is a Pastoral Counselor and Christian Empowerment Coach, TV and Radio show host, speaker, author and breast cancer survivor. Faith talk radio that inspires, empowers and enlightens you to walk in faith and purpose. For more than 30 years, author Lin Sons and her late husband Buck were led by God to minister to married couples and families. During that time, they learned quite a bit about marriage. In her new book, “We Danced! : A Devotional Filled with Excerpts from the Dance of a Real Fairy-Tale Romance” (published by Inspiring Voices), Sons goes in depth as she compares the journey of marriage and family life to a dance guided by God. This 81-year-old hospital volunteer hospital Chaplain (for 14 years) talks about how the Lord has given her music to write7 Biblical cantatas & inspired 4 dramas since 1979. 3 have been performed in Silver City & 8 as dramas in Andrah Pradesh, India. Transformation is a part of the cycle of life. Ray's book "Targeting Transformation" is meant to be a challenge to churches and individuals whose daily battle is to live a Godly lifestyle in a culture that seems so much focused on criticism, hate and destruction toward anyone different than yourself. Interviews with authors Anneros Valensi and Amanda Forbes. Looking at the life of Jesus Christ as explained in the books of John and Acts. Join me as I talk with author Theda Yager about her book Dreams and Wishes, WIshes and Dreams. My interview with Velma Davies about her newest book "Church Growth the Father God's Way." Getting clarity and understanding of how churches and church leaders can better serve their congregations and be a Shepard of the church. Open talk about the environment, climate change and what we can do to better understand the ecological economy with former Professor, Dr. Derek Paul. Join me as I talk with author Ken Kelly about his newest book. John was given a vision by Jesus - a vision of our Lord’s second coming while John was a prisoner on the island of Patmos around 95 AD. Ken's trilogy is fiction about what that vision could look like if it played out in the 21st century. 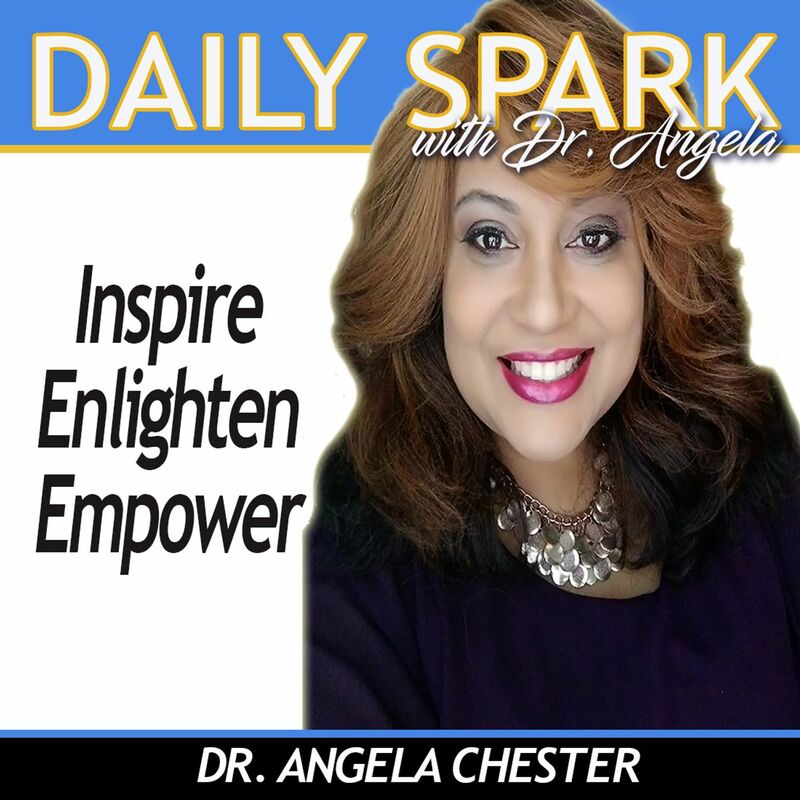 Join me as I talk with Drs Abiola Idowu and Jacqueline George on Daily Spark with Dr. Angela. Have you ever felt like something was missing or that you weren’t doing what God intended for you to do? Join me as I talk with Kelly Kratz about this very intriguing topic.